What our other Satisfied Customers have to say…. 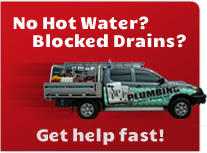 We have used Ace Performance Plumbing for years. The team are so friendly and easy to deal with, they don't muck around - they just get in and fix what ever we need done. They turn up, they clean up and they don't charge unrealistic prices. We are more than happy to recommend Brendan and his guys to anyone. You won't be disappointed you called them. S & S Price, Caringbah. Thank-you very much for attending to my recent plumbing needs in relation to replacement of our hot water system. I wanted to provide positive feedback on the great service I received from Ace Performance Plumbing. From my first dealings with Brendan, I felt comfortable that I was dealing with a genuine and honest company. Over time I have used Ace Performance Plumbing and any job needed doing has always been carried out quickly and professionally. We have been thoroughly delighted with both the professional standard of work performed and the attentive polite service provided. I can't recommend Brendan and the team from Ace Performance Plumbing enough! When opening up my new business and requiring work to be done Brendan understood the deadlines I had to meet and managed his team accordingly to ensure that the work was carried out in time and to the highest standard, allowing me to offer my clients the best possible service from day one. Not only did he perform the job asked of him, but he also went around the factory and assessed and fixed up any other issues that I had, to ensure that he left my work place knowing he'd done the best job possible.